Preheat oven to 180 Â°C. Line medium depth baking tin with greaseproof paper. In a large bowl, whisk together the sugar, eggs & Newgrange Gold Camelina oil. Sieve in flour, baking powder, cinnamon & spice. Mix together with wooden spoon. Add grated carrots & 1/2 packet nuts (if using). (Save rest of nuts for decorating). Pour mixture into prepared tin. Bake for 25-30 mins. Test with skewer in centre to ensure it has baked through (should come out clean). 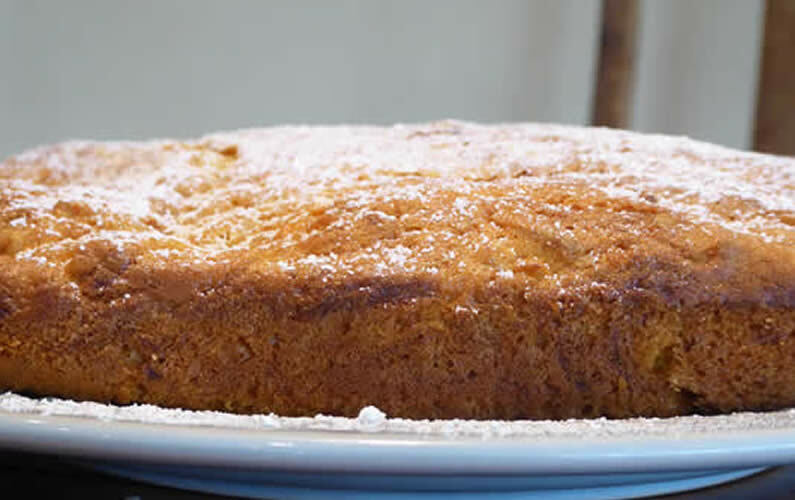 This cake can either be dusted with icing sugar (as shown) or mix 1 tub of cream cheese with 1/2 box sieved icing sugar and spread over top of cake. Top with nuts (optional).